Christmas is fast approaching. In a few weeks, we will be celebrating the most wonderful time of the year known for celebrations, reunions, and gift-giving. Every year, I am excited to create my list and think about the perfect gifts to give to my family and friends. However, I am not a fan of last-minute shopping thus, as early as October, I start buying gifts already. Not only do I save myself from the stress but it also allows me to shop and look for the best details and biggest discounts. And my latest discovery is Groupon. With Groupon, we can enjoy fun activities and huge discounts. When I say huge, it really, really huge that you'll get crazy with the amazing deals with Groupon Goods. They offer as much as 95% off. Let me share some of my favorite finds. 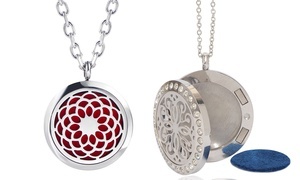 Groupon Goods features fashion accessories, home and decors, gadgets and technology plus a whole lot more. It simply means that we can find the perfect present for everyone. With a click of a button, your shopping experience will never be the same. Easy, fast and huge savings. So, what are you waiting for? 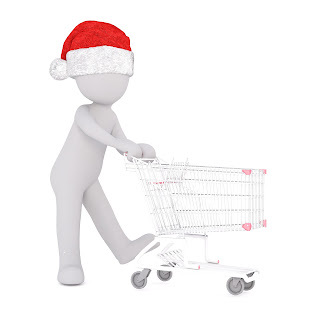 Hurry and start shopping now. 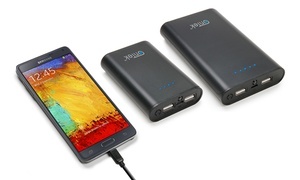 Some deals are expiring today (October 31st). If you have already tried Groupon, share your experience in the comments section below. This weekend features the highlights of the Masskara festival here in Bacolod. Aside from the wonderful activities such as street dancing, fireworks display, electric masskara and huge parties, the Masskara festival is also a time for family reunions. 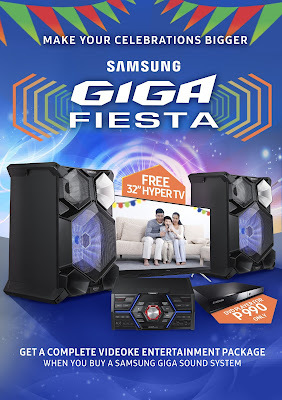 Samsung believes that this is also the best time to upgrade your family’s home entertainment system as Samsung launches the GIGA Fiesta promo. Get a free 32-inch Samsung Hyper TV when you buy a Samsung GIGA Sound MX-HS7000 or MX-JS8000. These special offers are valid during the MassKara festival from September 30 to October 31, 2016 only. The Samsung Giga Sound System is the perfect entertainment system for your fiesta celebrations. It produces 2,400-watts of clear, quality sound with a powerful bass. Create fun and memorable singing sessions with the Karaoke function. Liven up your party with family and friends with the built-in DJ Beat and Lighting effects that pulse to the music’s beat. Aside from the promo, Samsung and Barangay 107.1 Bacolod FM will had a Giga-oke challenge last October 19 at 8:00 AM at Barangay 16 Covered Court to let the public experience the power of the Samsung GIGA Sound System. In the Giga-oke challenge, contestants performed a song of their choice using the Samsung GIGA Sound System. Shopping for Christmas presents has never been better with Gifts by Marla! Everyone wants to have a good deal whether in a form of a huge discount, freebies, buy one take one offers and alike. As the holidays is fast approaching, it is a must to scout for the best gifts and the deals available. As a way of saying thank you to all their loyal customers, they will be having a CHRISTMAS SHOPPING SALE where they would be offering freebies too good to refuse. You can expect to get free items whose value is more than what you'll order. It would definitely be worth your money. A genuine discount or deal as shopaholics call it. Something you won't just let go of. The featured product varies per week. For this week (October 10-16), Gifts by Marla is giving away FREE Mary Kay Botanical Effects Toner and Mask worth Php 1,555 for every purchase of the of the Mary Kay Botanical Effects Skin Care Set worth Php 1,415. So, if you are interested to take advantage of this amazing offer from Gifts from Marla, you may order by sending them a message and hurry as stocks may run out. Also, don't forget to like them in facebook, https://www.facebook.com/regaloko and be updated with the upcoming deals. We’ve all seen how the Pinoy popstar princess went from being the industry’s favorite girl nextdoor to being the girl peg with countless citations and awards under her belt. Not only has Sarah Geronimo’s contribution to the music industry been widely recognized (with 10 AWIT Awards, 6 ALIW awards, 23 MYX Music Awards, Best Asian Artist – MNet Asian Music Awards 2012, Best Southeat Asian Act – MTV Europe Music Awards 2014, Bestselling Filipino Artist – 22nd Word Music Awards, among others), her film and television work has also earned her as much accolade (Iconic Movie Queen of Philippine Cinema – FAMAS 2015, blockbuster movie after blockbuster movie). At the cosmopolitan age of 27, Sarah has proven that she definitely owns a permanent spot in both pop culture and local showbiz. So, how does Sarah do it? Entertainment analysts will be quick to say that Sarah is one determined woman. Her innate talent, coupled with her passion to perform, has made her the celebrated artist that she is. Another thing that makes Sarah stand out among her contemporaries is the importance she places on keeping herself and her image not only wholesome but also holistic. In fact, this ideal balance has transformed the girl next-door into somewhat of a beauty icon, what with the slew of beauty endorsements up her sleeve. In Sarah’s case, she only trusts one beauty vitamin partner to keep her body and beauty holistically sound. In fact, with Myra, Sarah knows that her skin is cared for from the inside. celebrity life—produce bad free radicals in the body. These free radicals, in turn, steal life from healthier cells, causing damage and making the skin tired-looking and dull. In showbiz, there is no room for haggard or dull days. The spotlight is always cast on our favorite stars and celebrities, and the competition is tough. Sarah, as always, is determined to keep her game on. With Myra, Sarah rests easy knowing that the Vitamin E in Myra capsules acts as a powerful antioxidant that’s good for the body not only because of its beauty benefit but health benefits as well. This is what Myra does: Ang alaga ay mula sa loob , kaya mas tumatagal ang pagkaganda at healthy ng skin. When you take Myra in, your skin will not only be soft, smooth and young-looking, but you’ll also look fresh , hindi-haggard looking at may healthy glow ang skin. After all, best skincare really starts from the inside. In fact, it is this amped up level of alaga from within that gives skin that healthy, lasting glow for Sarah’s—and for anyone of us aspiring. Have you ever wondered what happens to your skin in your 20s, 30s and 40s and how to keep it looking healthy? I just envy women who were able to take care of skin properly. I realized these when I had fever a few weeks ago, when all of the sudden my face had all redness and extreme dryness. My skin is no longer have the same moisture as I was younger and it can no longer handle an increase of body temperature. As they always say, we are not getting any younger but aging isn’t a bad thing. Birthdays are great. I love celebrating my special day. However, we should never neglect taking care of our skin. It’s important to have healthy looking skin no matter what age we are. Our face will go through these changes but there are also ways to prevent premature aging. Thank God that Myra E got us covered all throughout our journey. Read on to know more about the common skin problems at every age and what we can do about it. Many will experience acne, even if it wasn’t an issue as a teenager. Pimples will appear on the lower face and along the jawline in particular. To treat this, use any product with Niacinaminde, like Myra Vitawhite Facial Wash, to even out any red blotches and add radiance to the skin. Myra Vitawhite facial wash also has Vitamin E beads, which protect and nourish the skin for a healthy glow, and Biowhite Complex, derived from plant extracts that gently whiten the skin in as early as 1 week. Taking care of your skin at this stage will determine how much damage your skin will have in your 30s and 40s. Products with Vitamin E are great to keep your skin supple and youthful. You’ll notice uneven skin tone with broken blood vessels and sun spots more, as well as fine lines and crow’s feet. This is the decade when your lifestyle habits from the past start to show on your face. Hyperpigmentation, like melasma or brown patches that often occur on the forehead, cheeks, and chin, are a big concern for women in their thirties. It’s usually a result of too much sun exposure but it can also be caused by a change in hormones. 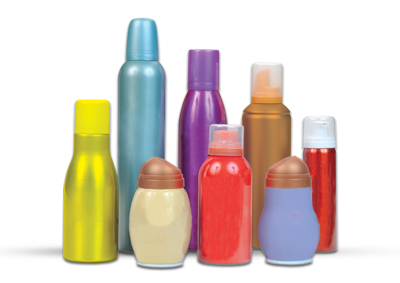 Make sure you wear sunscreen or use products with Vitamin E to protect your skin from sun’s harmful rays. At this age, your skin starts to get drier, which may mean more prominent lines and wrinkles. Counter this with a high quality moisturizer to help improve hydration. Anything with peptides, antioxidants and hyaluronic acid will gradually correct dark spots and brighten the skin as well. Take care of your skin with Vitamin E products to boost collagen production and prevent wrinkles. Suggested Retail Price is Php 70.00 for a 50ml tube. It is available in all leading supermarkets and drugstores. Last September 13, I was diagnosed with Dengue Fever. It all started with high fever (from 39.5 - 41C) that wouldn't go away despite taking paracetamol plus extreme pain on the lower part of my body. Aside from those two, I had no other symptoms. The day before that I had my check-up in one of the hospitals here in Bacolod. I had CBC and Urinalysis which all came out normal. They couldn't find what's wrong with me. They said it was not dengue (since platelet was normal) and not UTI. I was advised to visit my OB-Gyne and take some antibiotics. Personally, I find that unreasonable and certainly, it was a wrong advice from the OPD doctor. After the lab results were out, I realized that you can be positive with dengue even if your platelet count is normal. The tests showed that platelet is still normal with a slight decrease compared to yesterday's results but Dengue NS1 test says positive. So, what is really Dengue Fever? Dengue is a mosquito-borne viral infection. This means that you should have a strong immune system to fight it off. I know that my immune system was so weak at that time since I lacked sleep while taking care of the newborn puppies. The infection causes flu-like illness, and occasionally develops into a potentially lethal complication called severe dengue. This is the primary reason why we opt to rule out dengue immediately. You don't have to wait a couple days if you want to have yourself checked. Also, please don't wait for your platelet to drop before you consider that you're sick with dengue. If you have the funds available, have the Dengue NS1 test. It is always best to be safe than sorry. There is no specific treatment for dengue/ severe dengue, but early detection and access to proper medical care lowers fatality rates below 1%. As mentioned earlier, it's better to safe than sorry. Based on my experience, starting on the 5th day, I no longer had fever but that was where my platelet really start to drop. From 285 it went down to 79 and on the 6th day, it went down to 35. My doctor said that there is nothing to worry because based on the lab tests, my body is properly hydrated and it should help improve the platelet count. 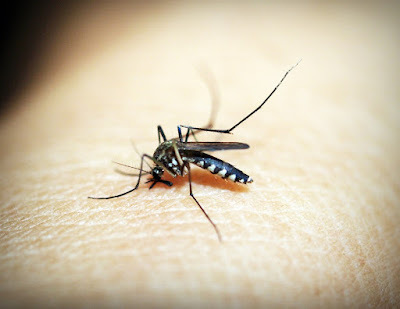 What should you do when you have dengue? 2. Eat Vanilla Ice Cream. They say it helps in blood regeneration since it's rich in Vitamin K and Calcium. 3. Drink Tawa-Tawa. They say that you should drink tawa-tawa when you have dengue fever but this did not work for me. I had LBM after drinking so I had to stop drinking before I get dehydrated again. 4. Eat Durian. 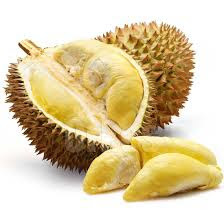 (No scientific study to prove it but I love durian so, was just happy to eat and perhaps it really helped in my recovery) It was just a challenge to sneak it in the hospital since it was not really allowed. 5. Be careful when brushing your teeth. Make sure that there is no bleeding. Thus, it is better if you just use your fingers with toothpaste to clean your teeth and gums plus mouthwash. After this dengue experience, I realized that dengue fever could happen to anyone. As for the hospital bills, it is very important that we have Philhealth. I am also very lucky to have the Pioneer Life Medicash for Dengue. 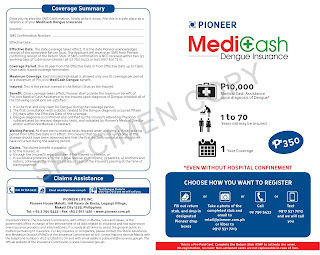 The Pioneer Life Medicash Dengue provides you a cash benefit of Php 10,000 once you are diagnosed with dengue whether hospitalized or not. The fee is only Php 350 good for one year or until used. 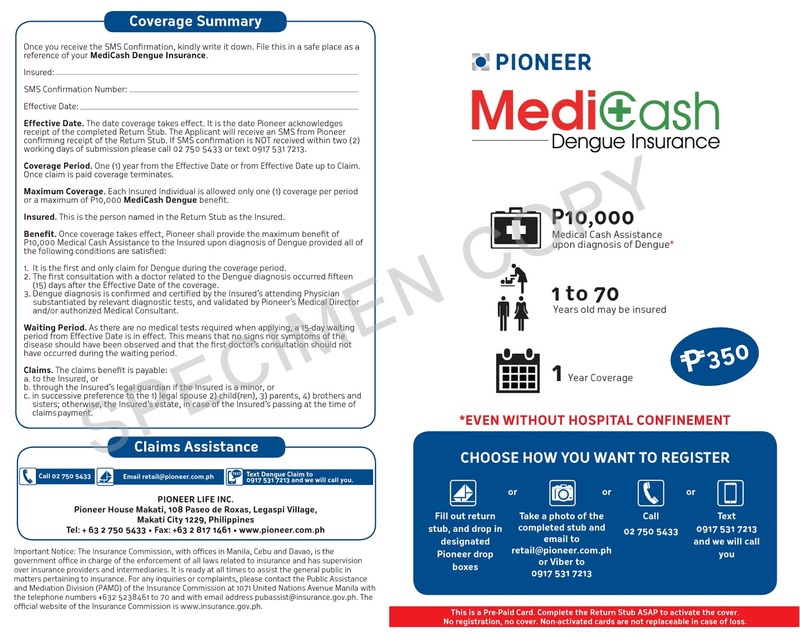 Something worth nothing about the Pioneer's Medicash Dengue is the claim process. I only submitted 3 easy requirements: Valid ID, a claim form to be signed by your attending physician and my dengue NS1 lab result. I got a notification about its approval after 2 days and on the 6th day, my benefit was deposited to my preferred bank account. After this experience, I would like to take the opportunity to thank all family and friends who prayed for me, also to those who visited and made my hospital confinement bearable and to all my clients who had been very understanding. Thank you so much! So, just stay safe and don't forget to use mosquito repellants. Should you have any questions, feel free to send me a message in facebook. Further studies also associate conditions like migraine, stress, mood swings and eye strain to prolonged exposure to fluorescent light. The good news is they are now available in CD-R King which means that we can now replace our old fluorescent with these affordable yet good quality LED light tubes from CD-R King. Larger commercial space requires high luminosity that gives a higher light output. If broken down to lumens versus floor space, fluorescent will boil down to be a cheaper source. And that would simply mean savings for electric consumers.